Full page. Illustration to Part 5 of the work. Illustration at 90º to page. 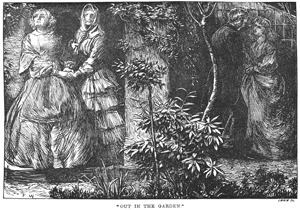 'The Story of Elizabeth' starts Sept. 1862, but the first illustration does not appear until the third part. The work was published anonymously, and subsequently published as a separate volume (London, 1863).